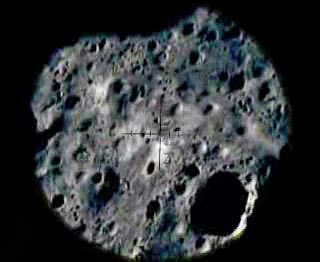 The Apollo 15 Mission Found Out a Huge Object on the Backside of the Moon - Did Apollo 19-20 Missions Really Take Place? A few weeks ago I interviewed a man by the name of William Rutledge, who has been claiming his identity: he would have been an astronaut during the ‘70s, employed by the USAF in collaboration with NASA during a secret Space mission. My interview was carried out by my YouTube Account/General Messages. William Rutledge registered himself on YouTube as a man of 76 years old (YouTube user: “retiredafb”), who now lives in Rwanda. He told me he is an American citizen, now civilian, born in Belgium in 1930 and employed by USAF as test pilot on various aircrafts. Officially many Apollo missions were canceled by NASA during the Project Apollo, included the Apollo 20 (canceled in 1970). 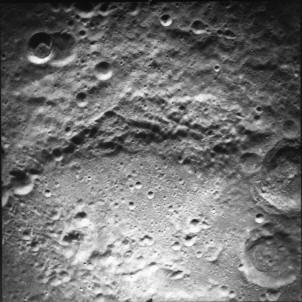 The goal of these two presumed secret joint space mission, result of an American-Soviet collaboration, was to reach the backside of the Moon (the Delporte-Izsak region, close to the well-known Tsiolkovsky crater) and to explore a huge object found out during the Apollo 15 mission. 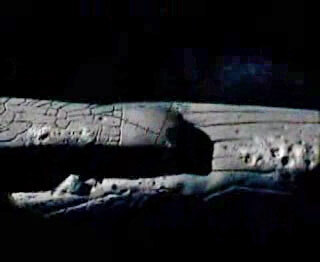 What the Apollo 20 crew found, it was a huge and ancient alien spaceship, "approximately 4 kilometers long" (W. Rutledge). 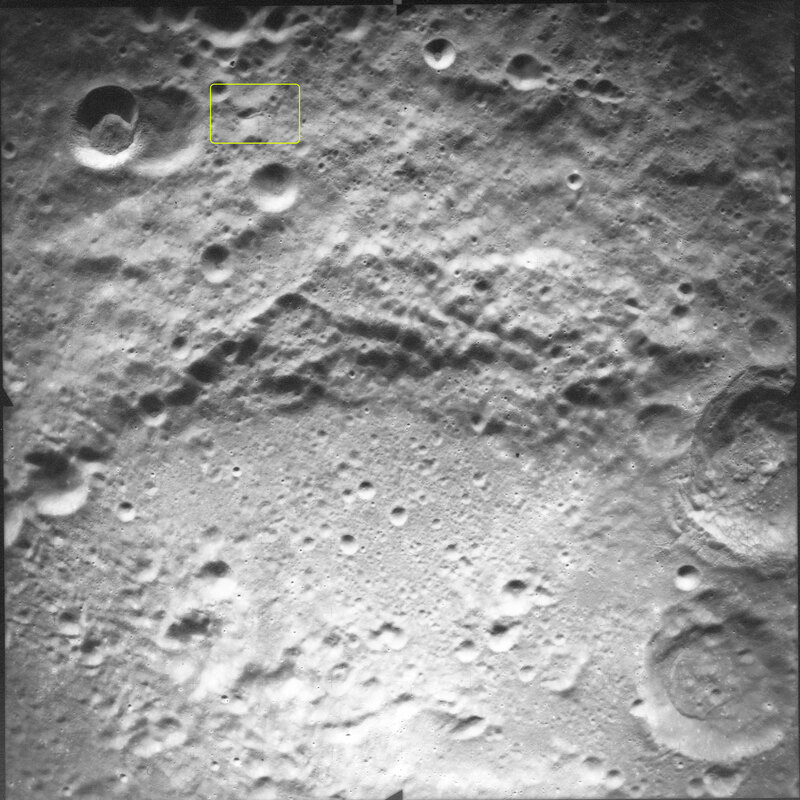 And as a matter of fact, some official NASA pictures archived by the LPI (The Lunar and Planetary Institute in Houston), which is “a research institute that provides support services to NASA and the planetary science community” (http://www.lpi.usra.edu/lpi/about.shtml), show a strange and big object on the far side of the Moon. LPI is “is managed by the Universities Space Research Association (USRA)”. I realized later reading an essay of Latin quotations and sayings, that the Latin inscription on the presumed patch of the classified mission is from Virgilio’s “Bucoliche” (IX, 50). "Rutledge - Snyder - Leonov", which is a typical NASA habit. But on the video of the flyover of the Lunar Module LM-15 (I checked on some Space history abstracts: the name of the spacecraft is coherent with the historical succession, because the Lunar Module Number begins from Apollo 5, with the LM-1, and for example for the Apollo 11 mission the name of the Lunar Module is LM-5; for some reasons not always the progressive number of the LMs is in accordance with the Apollo mission number), we have just a second of another marking about a video of the former Apollo 11 Mission. 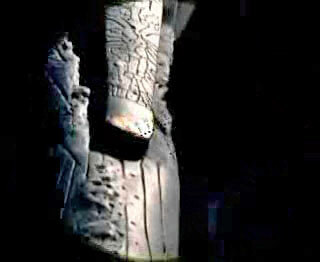 The presence of an intrusive frame in the footage it would seem to be a contradiction, but perhaps it is just a result of a probable former recording on the film. According to William Rutledge (see my interview already mentioned), the first time he had to do with the footages was 15 years ago, because somebody he knew, charged to maintain security around a container, contacted him and told him what he found out inside (some "archives had to be burn by a plasma torch"). "Lift off of Apollo 20 Saturn 5 from Vandenberg AFB august 16 1976. Note the marks on the rocket, different than the previous Apollo launches." But the codec audio on YouTube is from the Apollo 11 mission. I’m sure about it, because I have carefully compared the video on YouTube with an official NASA video of the Apollo 11 lift-off. Rutledge, contacted by me about it, has confirmed the probable mixing. And it could be possible, if you consider that some of his friends in Rwanda are helping him in the transfer from the analogical films to the digital, and William Rutledge told me now he’s not in Africa. So, if his friends have not a very good knowledge of the subject and of the Space history, they could make mistakes in assembling the codecs video with the codecs audio. For the rest the Rutledge’s report is enough coherent and plausible, and it shows a detailed knowledge of Aerospace history, of Geology, Chemistry and of Space exploration history, using specific terms. (Webster’s Third New International Dictionary”, Könemann, 1993,pag. 835). On June 18 2007 William Rutledge (with the help of his friends in Rwanda) uploaded on YouTube new evidences which seem to corroborate his amazing story: the APOLLO 20 TEST Launch pad, the APOLLO 20 Test EVA 1 and the APOLLO 20 TEST Snyder Ingress. "Test Cinepak radius compressor. Rutledge and L. Marietta Snyder ingress". 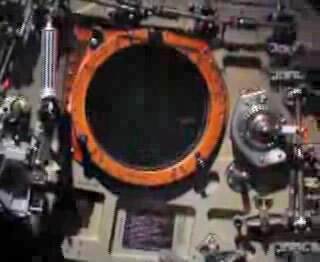 In the video you can see some technicians by a presumed launching pad for astronauts. 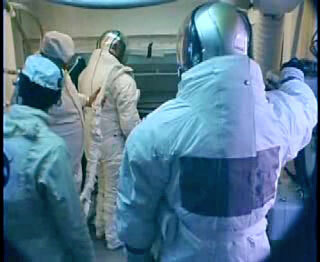 In the footage (a capsule Ingress test?) 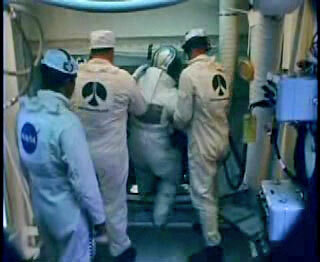 they’re helping two astronauts (who would be William Rutledge and Leona Marietta Snyder, former Bell Laboratories), who wear their space suits, to enter into a presumed spacecraft by a launching pad. The footage seems to be the editing of three different moments, in front of the entrance. "[…] “North American Rockwell designed and built the Saturn V second stage and the command and service modules." "[…] North American was responsible for the famous WWII P-51 Mustang fighter and Korean War-era F-86 Sabre, as well as the Apollo spacecraft." Since the 1973 the name of the corporation changed: the North American Rockwell Corporation became the Rockwell International Corporation. W. Rockwell died in 1978, and since that time the corporation began a series of spin-offs. What remains of the company is the Rockwell Collins (COL) and the Rockwell Automation (ROK). The Rockwell International no longer exists. 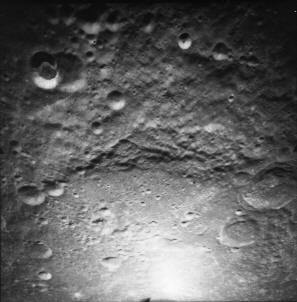 "APOLLO 20 ALIEN SPACESHIP ON THE MOON CSM FLYOVER". "CSM 16mm footage through the AGC lens... CSM 16mm footage through the AGC lens, made by Leona Snyder […]. Camera is fixed on the eyepiece of the telescope, less dropouts or moves than the TV feed from the LM. Frame transfer is not perfect, speed is faster than actual, 4 different speeds were used on the 16 mm camera." 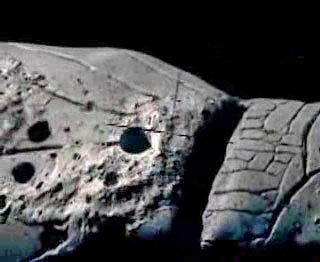 Apart from the evocative 16mm footage by Leona M. Snyder in which you can see the details of the presumed abandoned alien spaceship on the far side of the Moon, during the flyover of the Apollo 20 CSM, in my opinion the decisive frames from the historical point of view are the first. 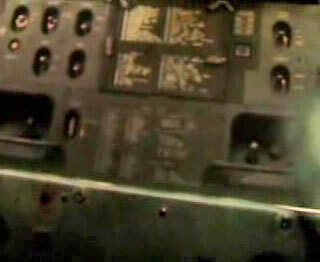 At the beginning of the footage, in fact, you can see the Spacecraft controls and instruments. If you compare them, for example, with the 35mm photos available from the Apollo 17 Image Library of the Apollo Lunar Surface Journal, you will recognize almost every part of the capsule inside (source: http://www.ehartwell.com/Apollo17/AS17-35mm.htm). Spacecraft controls and instruments. 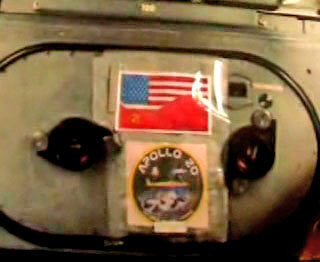 You can see the mission patch and the American flag. 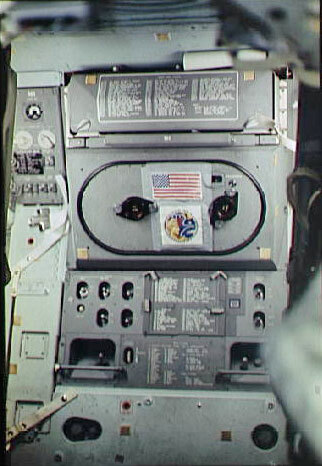 Moreover, instead of the American flag, you have the union of the American with the Soviet flag, over the Apollo 20 patch. It does make sense using the same technology to go to the Moon, already tested with success, if you think that Apollo 17 mission took place at the end of 1972, as the presumed Apollo 20 in August 1976. "[…] Apollo 18 was the Apollo-Soyuz project, the honeymoon before a moon landing mission, it was presented as a simple 'shaking hands' mission in 1975"
(from the interview with W. Rutledge). Waiting for the rest of the Rutledge’s testimony, we should prepare ourselves for the wait and new Copernican revolution: we are not alone in the Universe and, at last, historical and technical evidences are supporting it beyond any doubt. What we need is an official declaration from Authorities. Perhaps, the American Code of Federal Regulations and the Public Law 91-76 created by U.S. Congress could help us to find the truth (see: http://history.nasa.gov/spacemedal2.pdf), together with a formal recommendation/petition to the NASA Administrator, to give a right recognition to the Apollo 19-20 crews. It would be a good thing to disclose and spread the truth about the reality of the extraterrestrial intelligence in the Universe through an unknown historical fact in which the two great powers of the World of the past (the USA and the USSR) joined together for scientific and peaceful activities, in spite of all their differences and political hostilities. 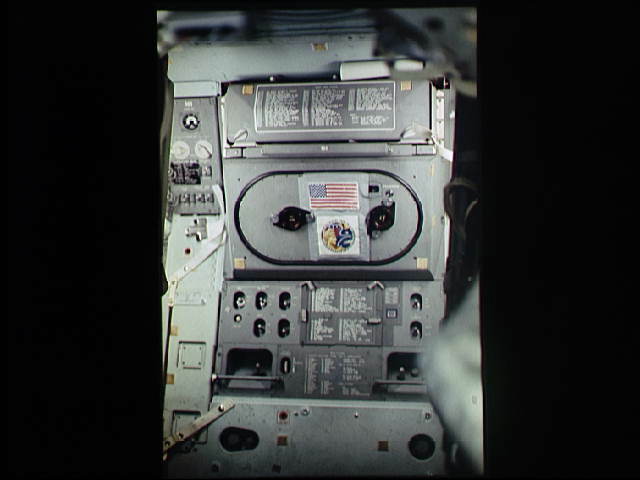 "[…] the Apollo 20 belongs to all mankind It is a part of all human's heritage".